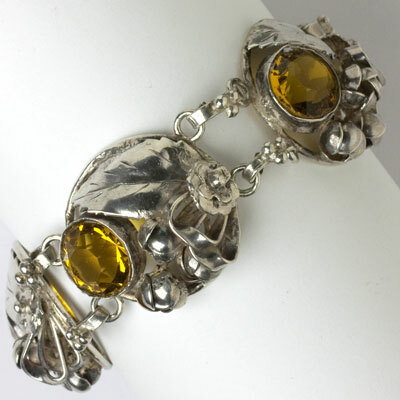 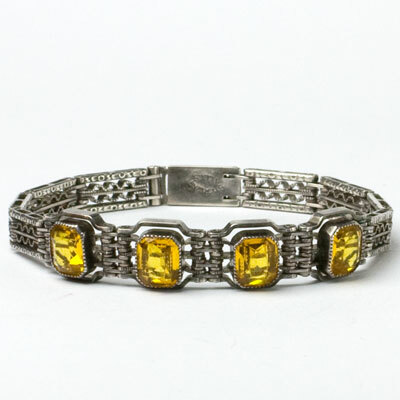 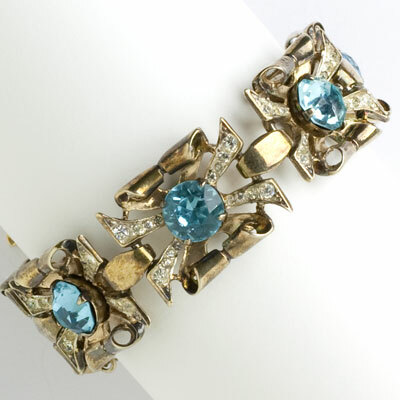 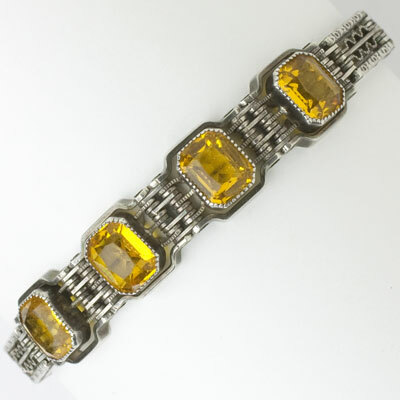 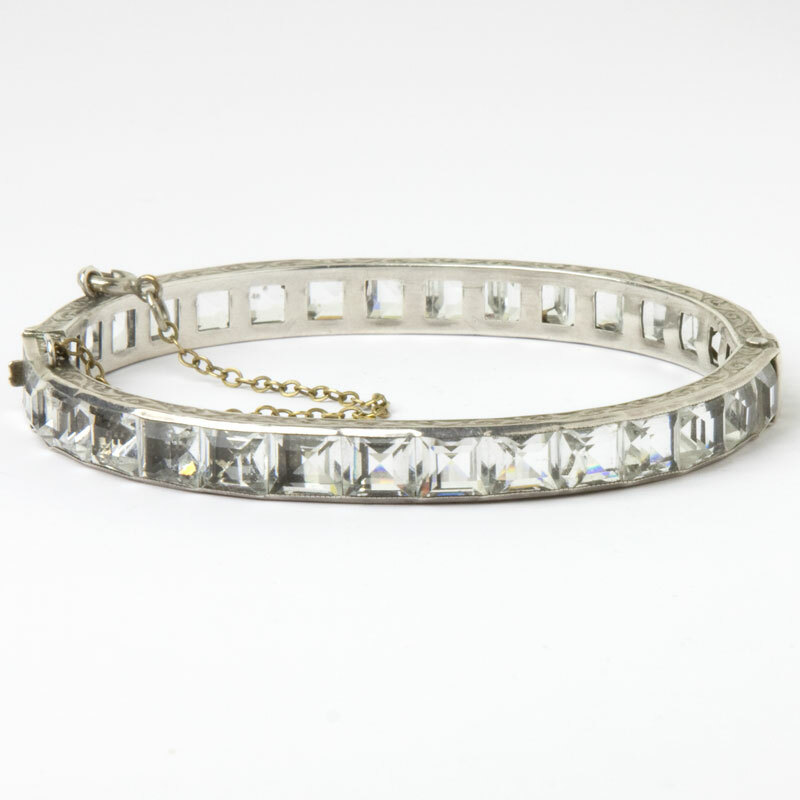 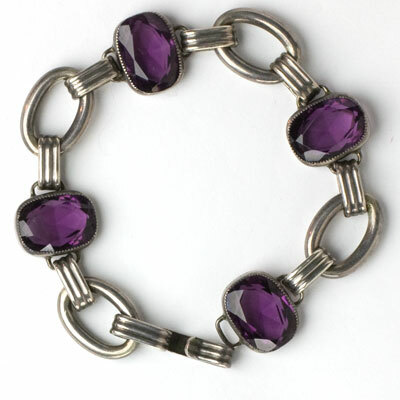 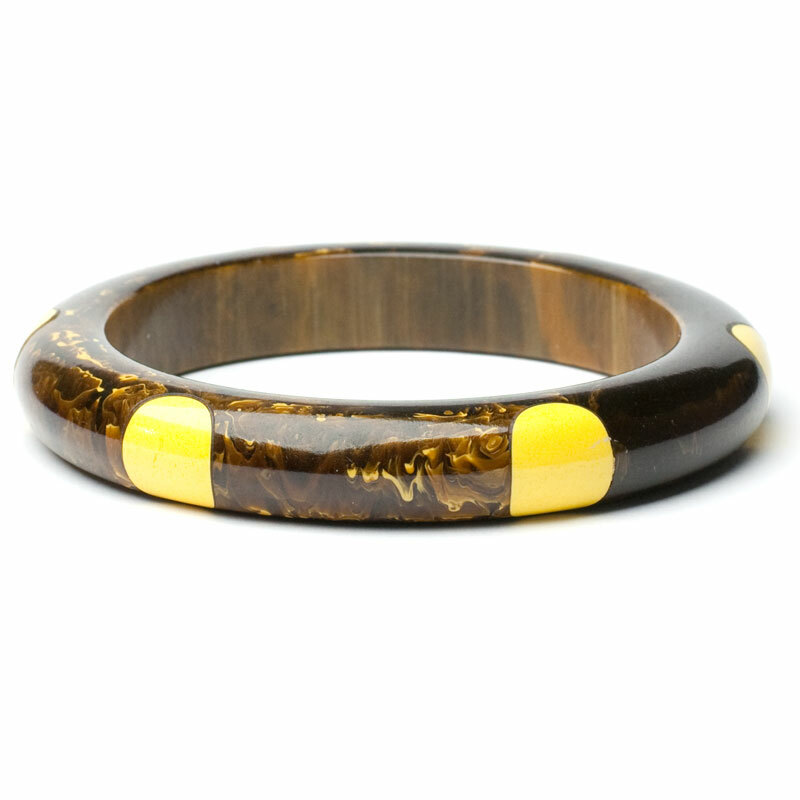 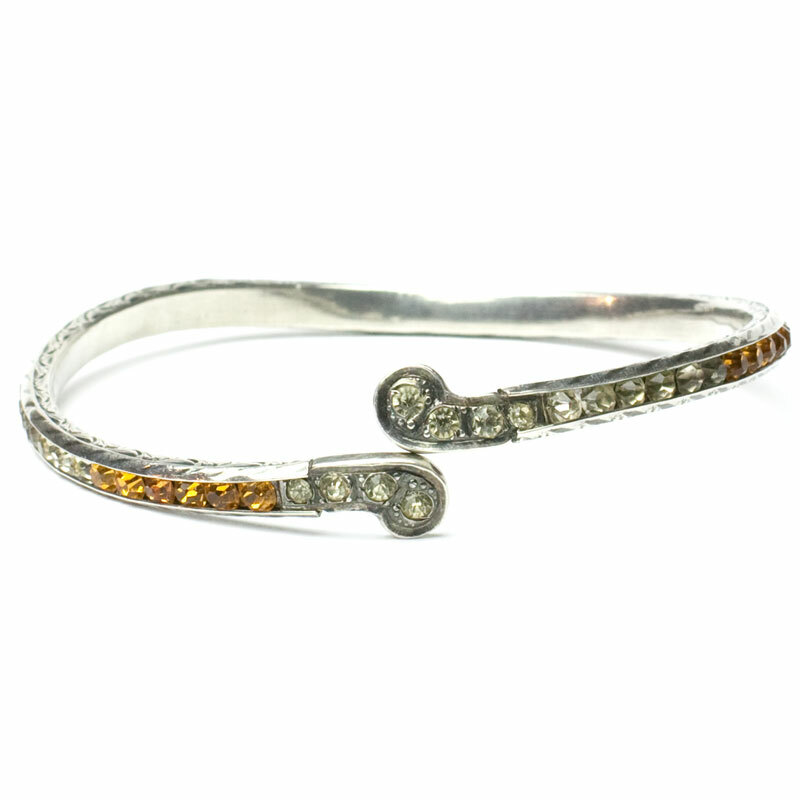 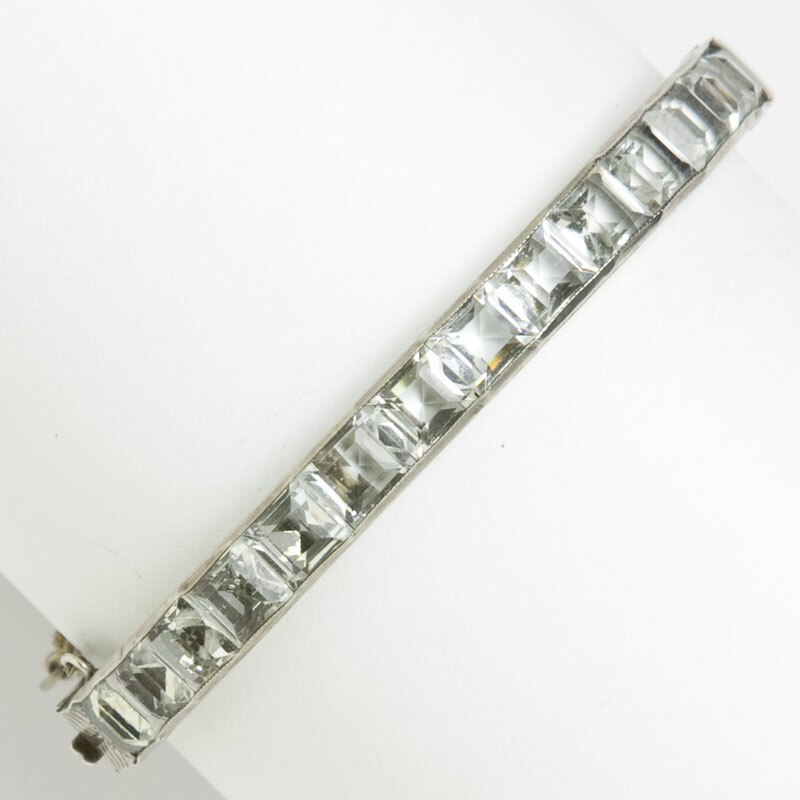 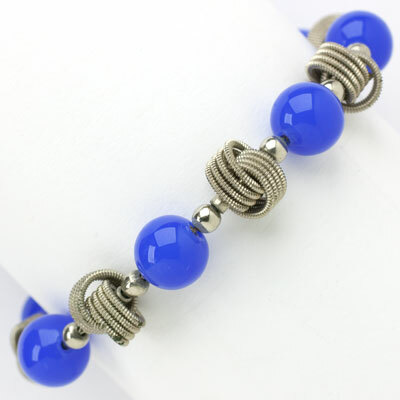 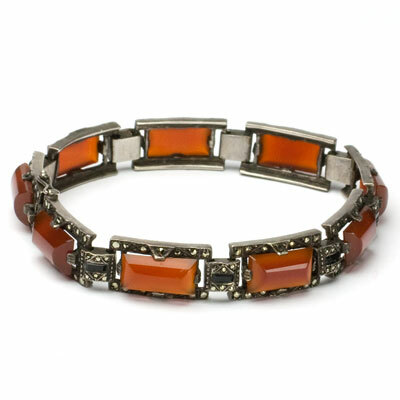 Vintage bracelets from the Art Deco style of the 1920s-30s, Retro Modern pieces of the 1940s, and 1950s designs by imaginative makers in beautiful materials can be found here. 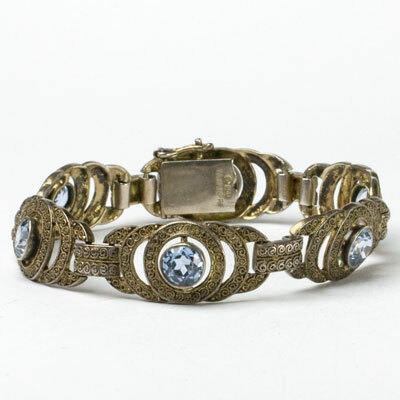 An important accessory to 1920s fashion, when bare arms required adornment, bracelets in this decade were typically worn in multiples. 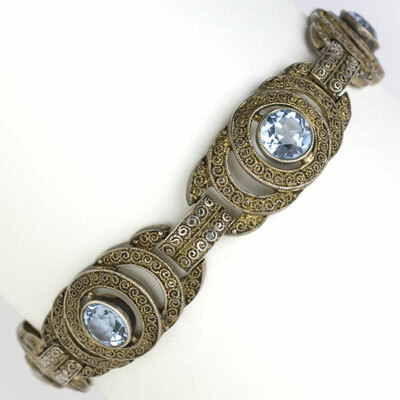 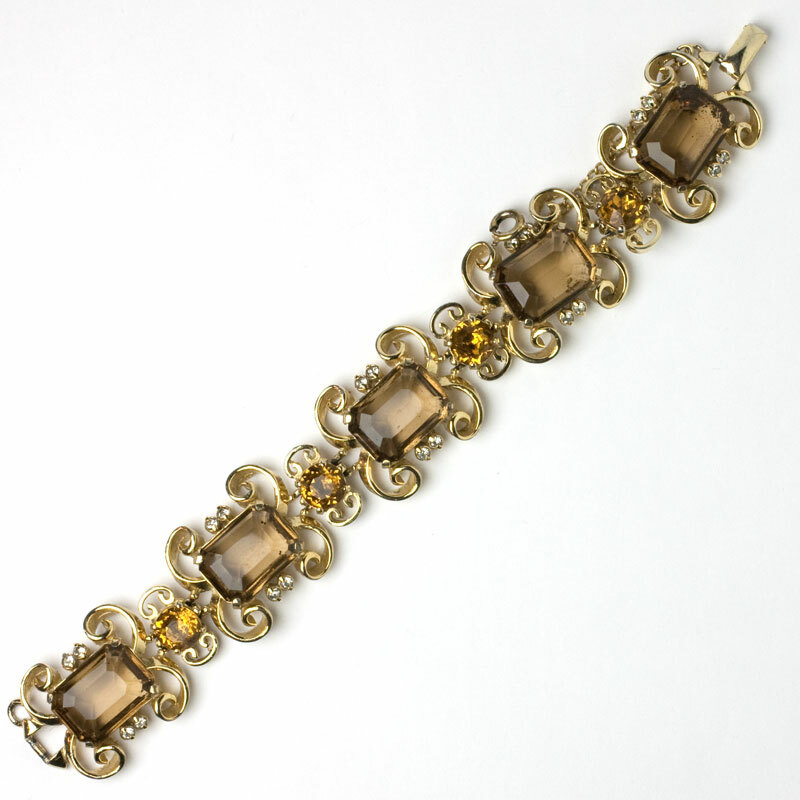 The popular styles were one- , two- , and three-row flexible bracelets (what we now call line or tennis bracelets), filigree bracelets, and bangles. 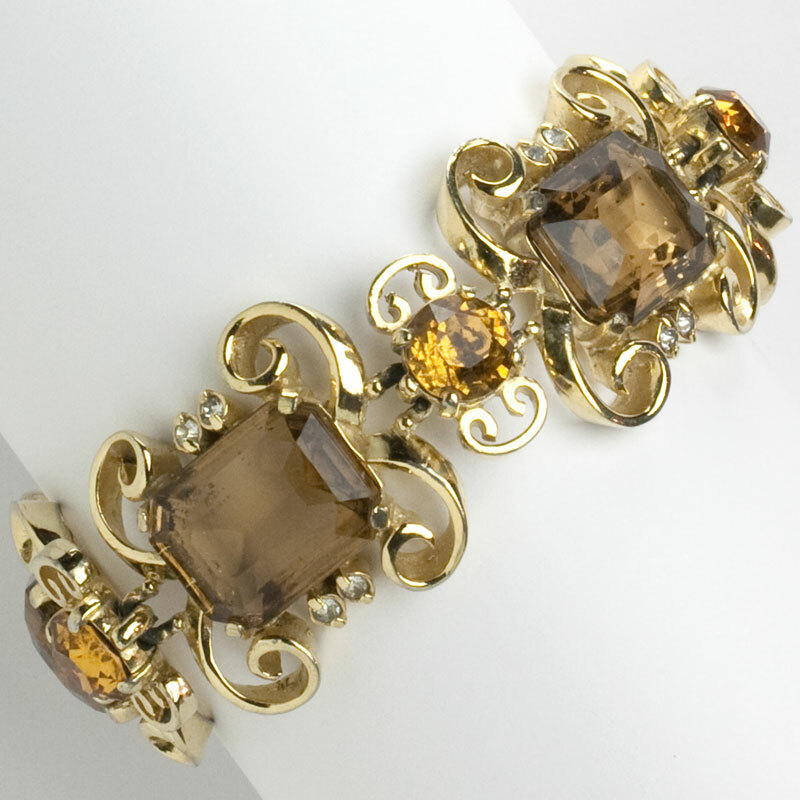 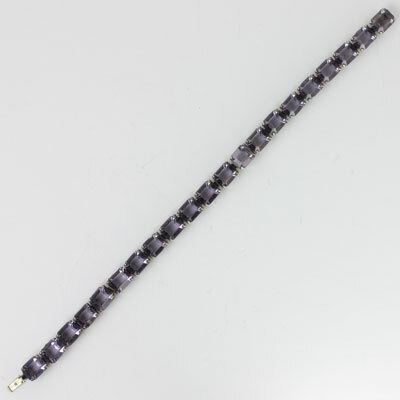 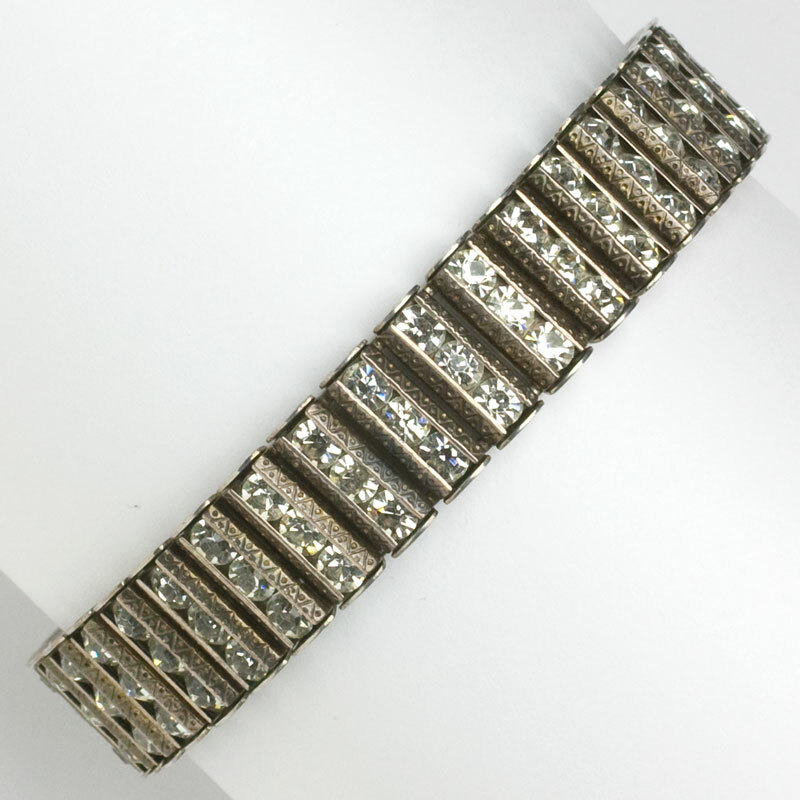 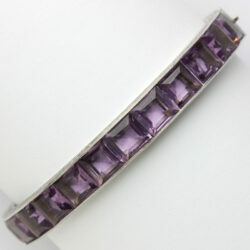 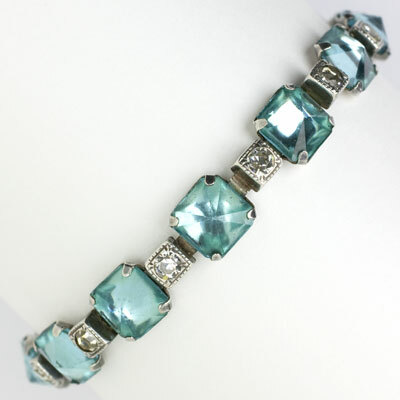 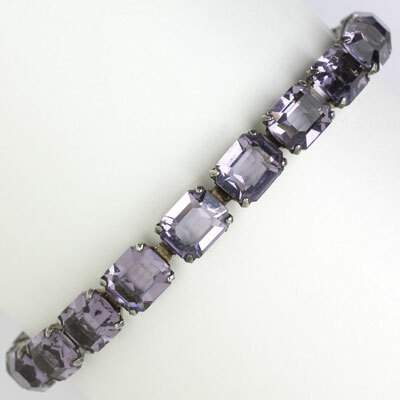 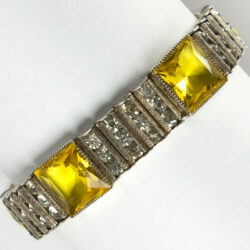 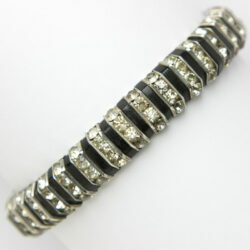 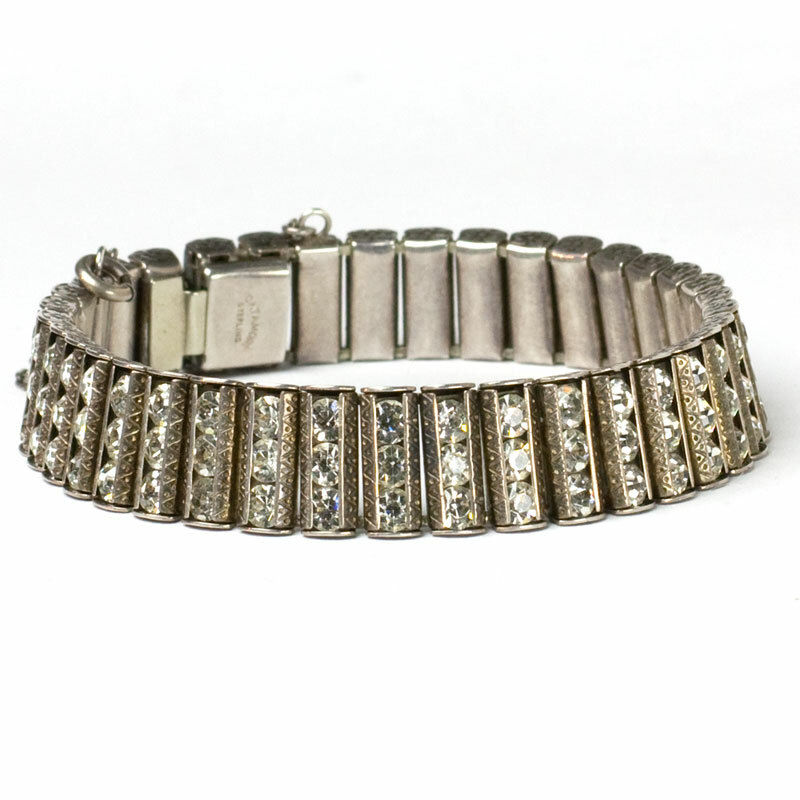 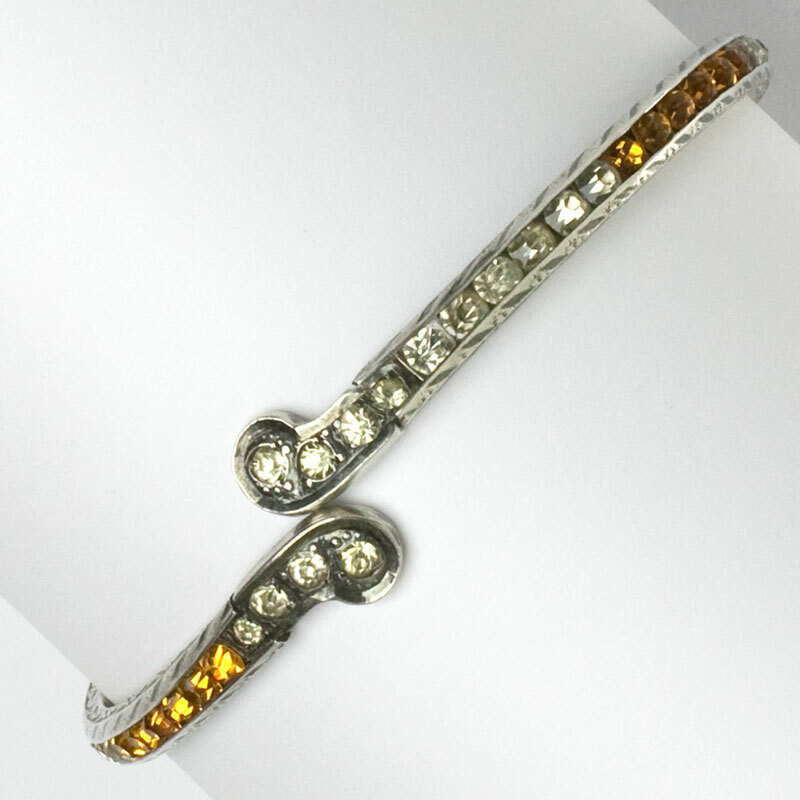 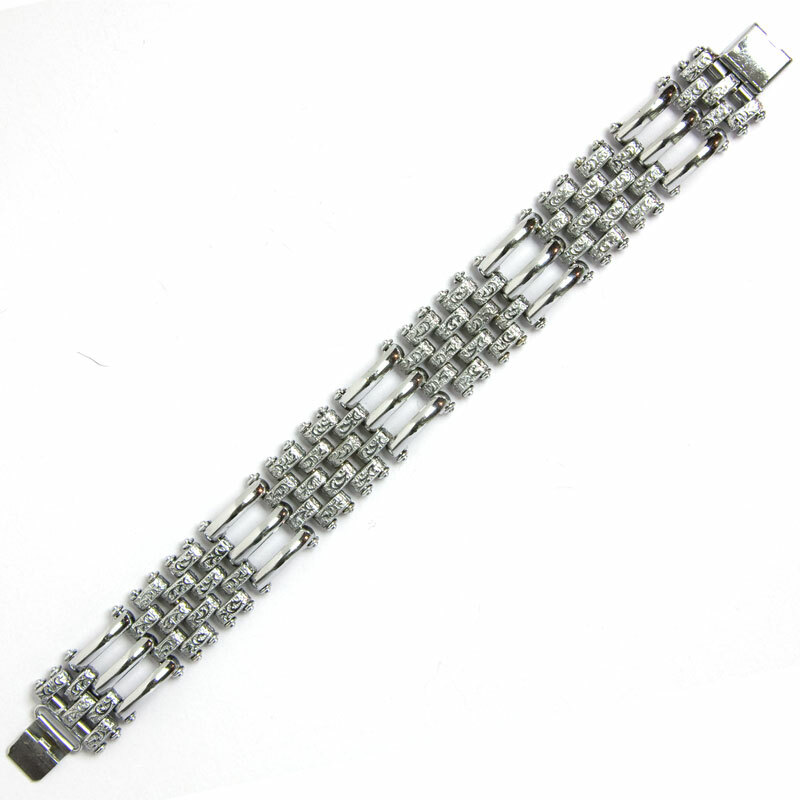 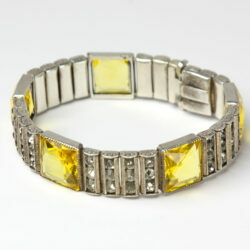 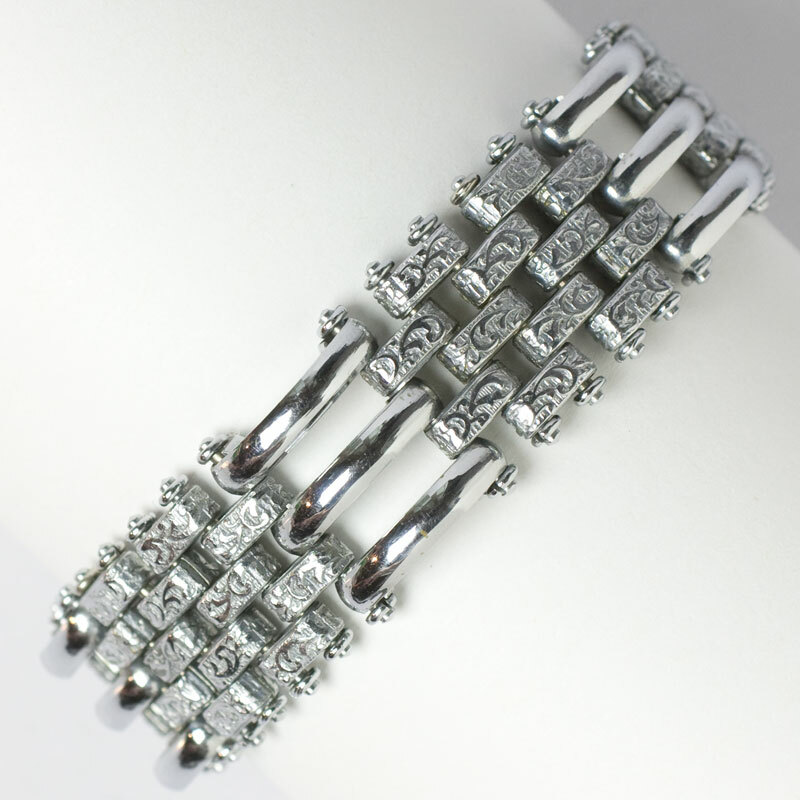 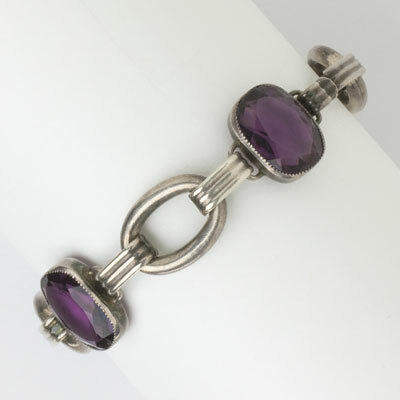 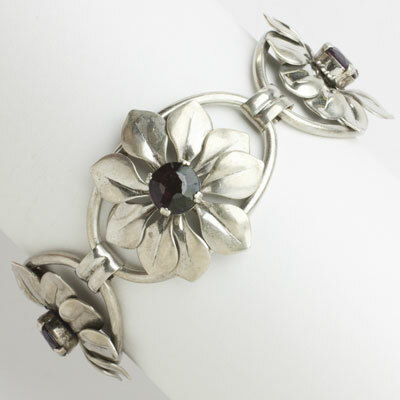 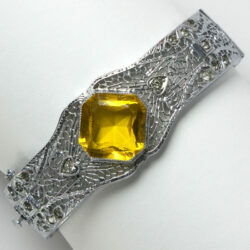 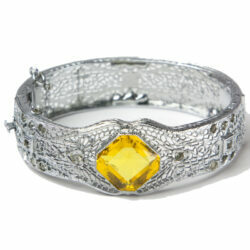 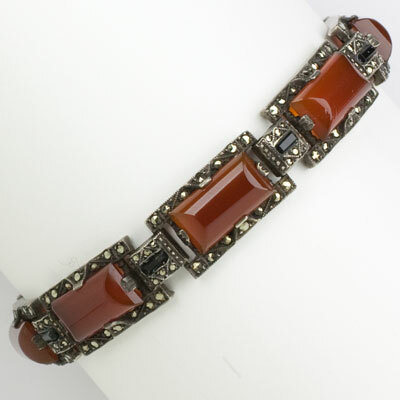 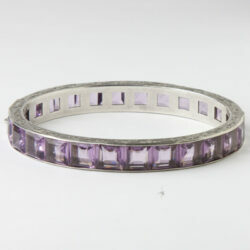 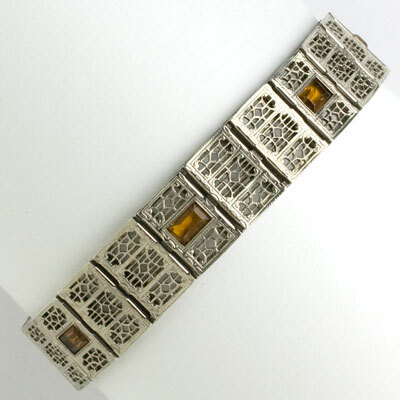 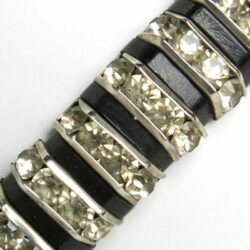 Bracelets got wider and more three-dimensional in the 1930s, as the Machine Age style took hold. 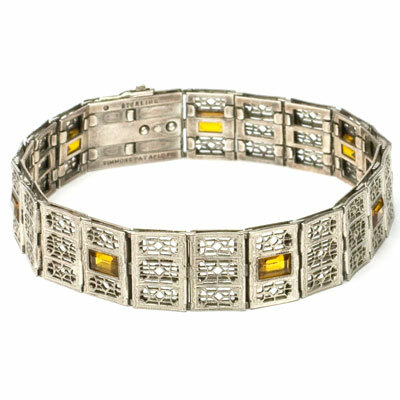 In the 1940s, gold-tone snake chains, basket-weave links, and flexible spirals were popular styles. 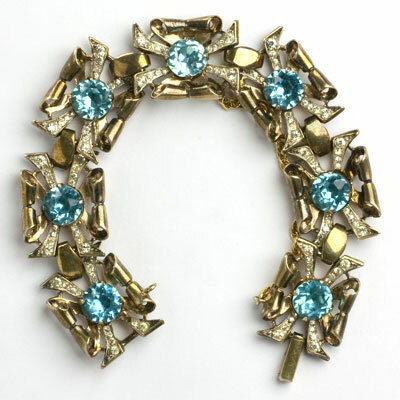 The 1950s produced tailored pieces as well as fabulous fakes. 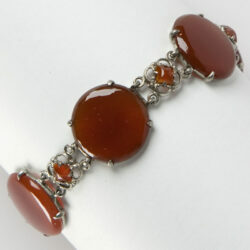 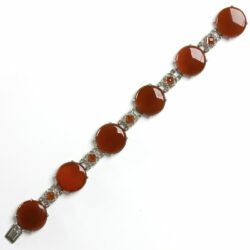 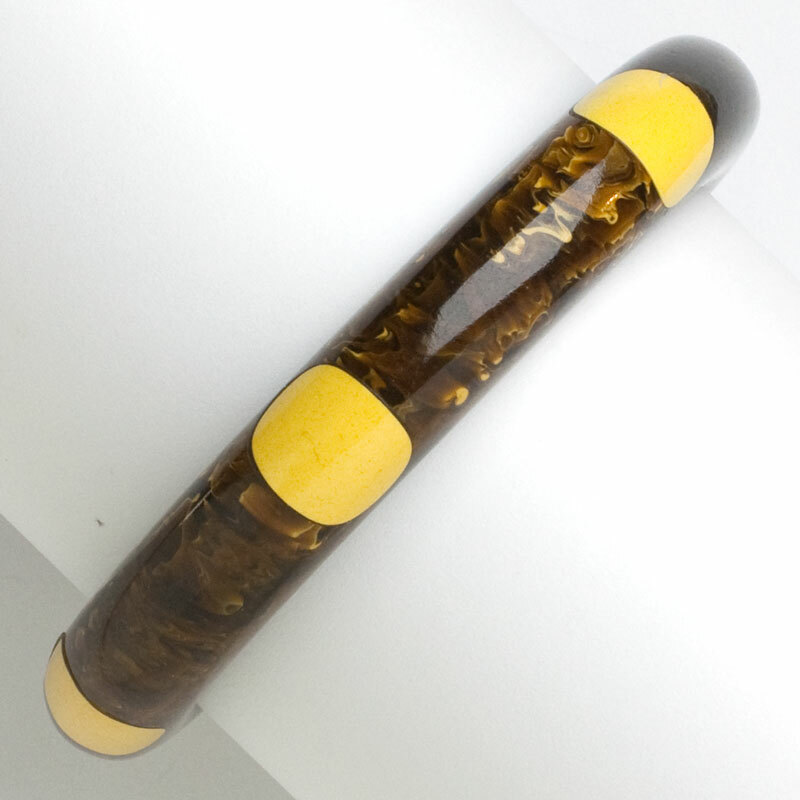 For more bracelets, see Sets & Parures.